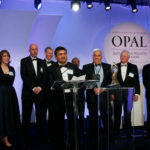 Today, more than ever, the engineering profession looks to young engineers who can articulate their passion for problem solving and their desire to improve the quality of life. Our nation’s economy increasingly depends, in particular, on civil engineers who are inventive and capable of seeing the big picture, and putting technical information into context for both technical and nontechnical audiences. To recognize the next generation of leaders, ASCE’s New Faces of Civil Engineering program highlights 10 young, diverse, and talented engineers who demonstrate a clear vision, good managerial and technical skills, and who possess inspirational leadership qualities and a desire and willingness to change the world for the better. 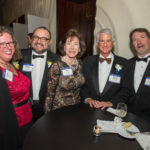 The New Faces of Civil Engineering will be recognized at ASCE’s Outstanding Projects and Leaders (OPAL) Gala in Arlington, Virginia, March 26. They will also be nominated for recognition by the DiscoverE Foundation’s (formerly the National Engineers Week Foundation) New Faces of Engineering program. 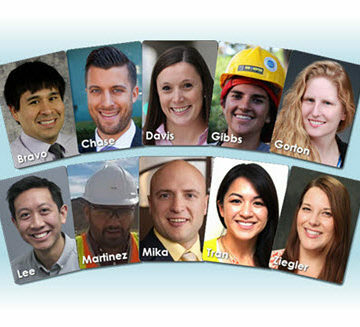 ASCE is proud to present this year’s 10 New Faces of Civil Engineering. Click on the young civil engineer’s name to read their entire story. Ozzy Bravo, P.E., M.ASCE, a geotechnical engineer with Terracon and vice president and treasurer for the Kansas City Younger Member Group. Bravo has worked on numerous infrastructure projects, including the 35Express, the 28-mile, $1.4 billion first phase designed to relieve the heavy rush hour congestion along the east corridor from US Highway 380 in Denton County to I-635 in Dallas County, Texas. Growing up in Lima, Peru, it was during a family trip to the Golden Gate Bridge in San Francisco in 1999, that Bravo became captivated by the details and logistics involved in civil engineering. “Coming to the U.S. to pursue my degree and become a civil engineering was a dream of mine,” says Bravo, who has authored a publication for the 15th PanAmerican Conference on Soil Mechanics in Argentina in 2015 and is preparing another publication for ASCE’s Geo-Congress. “Being a New Face of Civil Engineering motivates me to continue to better myself and motivate others to work together to improve the practice of civil engineering and contribute as much as we can to ASCE,” says Bravo, who received his bachelor’s degree civil engineering at the University of Kansas. 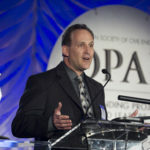 Nathan Chase, P.E., QSD, LEED AP ND, ENV SP, M.ASCE, is a water/wastewater engineer with URS (now an AECOM company), in Santa Ana, California. In pursuing his passion for providing water engineering solutions to people around the world, Chase has participated in master planning projects that set the course toward more sustainable communities. “I know that I am not alone along among civil engineers who get excited about finding creative solutions that are environmentally sensitive to the infrastructure and global challenges we face today,” says Chase, who graduated from Northeastern University with bachelor’s degrees in both civil engineering and environmental geology, and from Stanford University with a master’s degree in civil and environmental engineering. As the technical lead for a health and sanitation project with Engineers Without Borders–USA (EWB-USA) in Yamabal, El Salvador, he helped design and construct composting latrines, in addition to developing a water treatment system to provide clean drinking water. 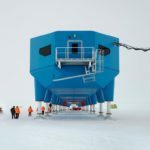 “I’m really excited about the opportunity that being a New Face of Civil Engineering brings to highlight the important role engineers play in solving some of the most pressing challenges of our day, including the threats of climate change and how our infrastructure must adapt to be more resilient,” says Chase. Courtney Davis, P. E., M.ASCE, is a project engineer with the Seattle, Washington, office of KPFF Consulting Engineers and president of the ASCE Seattle Younger Member Forum. Her paper “Evaluation of Design Provisions for In-Plane Shear in Masonry Walls” was recognized by the Masonry Society in 2009 as the Best Master’s Thesis, and Davis presented her research at the group’s annual conference. Based on her findings, recommendations were made to improve the strength design and allowable stress design provisions in the Building Code Requirements for Masonry Structures (ACI-530-08). Presently, Davis is managing the construction support on the Denman Island Ferry Project on Vancouver Island in British Columbia, Canada – which will be the longest cable ferry in the world – where she designed the movable steel transition that bridges the gap between the ferry and the adjacent pontoon. Maria Gibbs, S.M.ASCE, is a Ph.D. candidate at the University of Notre Dame and a recipient of a prestigious National Science Foundation Graduate Research Fellowship. Gibbs’ research is focused on bridge aeroelasticity with applications to help the rural poor around the world. Her research specifically looks at wind-induced motion of suspension footbridges to help design those built by Bridges to Prosperity (B2P), an organization that provides isolated communities with access to essential healthcare, education, and economic opportunities by building footbridges. Gibbs developed a method to collect dynamics data for B2P’s footbridges requiring only a smartphone app and a rope, which will enable B2P to push the span limits of footbridge technology, increasing the reach of the organization’s efforts. Alicia M. Gorton, Ph.D., EIT, A.M.ASCE, is an environmental risk and decision analyst for Pacific Northwest National Laboratory (PNNL), in Richland, Washington. Gorton is part of the team involved in the cleanup of the Hanford Site, which represents two-thirds of the nation’s high-level radioactive waste by volume and is currently considered the most contaminated nuclear site in the U.S. Gorton’s first project at the site is the development of a web-based GIS tool called Phoenix, to allow the public to rapidly access and visualize historical environmental data from the site. As the co-leader of Girl Scout Troup 4510 in eastern Washington and northern Idaho, Gorton helps young girls develop their leadership skills while increasing their self-esteem, creativity, and independence. Aaron Lee, P.E., M.ASCE, is a civil engineer in AECOM’s water group in San Francisco. Lee worked on the recently completed capital planning study for San Francisco’s Auxiliary Water Supply System (AWSS), which provides a dedicated water supply to fight fires. Lee’s role was to use probabilistic methods to determine project priorities to improve the system. The primary goal of this work, says Lee, is to make San Francisco more resilient to potential impacts from fires following earthquakes. Lee, who received his bachelor’s degree at Duke University and his master’s degree at Stanford University, is currently serving as the project manager for an EWB-USA project to bring reliable and clean water to 3 villages in the Fiji Islands. Making his first trip to the Fiji Islands this year, he has participated in 3 project implementations that have improved drinking water quality and made water source improvements. Aaron K. Martinez, P.E., M.ASCE, is president of A.M. Engineering in Elko, Nevada. He knew the process was not without risks. But after working for 11 years as an engineer with Lumos & Associates, always betting his future success on his personal drive and unique combination of technical expertise along with leadership skills, Martinez launched his own firm: A.M. opened its doors for business in 2013. Martinez lists his most recent achievement as the urban planning and design services he performed for the $14 million Planned Unit Development (PUD) Carlin Crossing, a 326-acre mixed-used development featuring over 5 miles of collector/residential streets and bicycle lanes, as well as 14 miles of topographically challenged off-road bike trails. Kenneth R. Mika, P.E., M.ASCE, is an environmental engineer with Natural Resource Technology, Inc.
Mika is currently project manager and design engineer for an in situ solidification/stabilization (ISS) project in eastern Wisconsin. Actively engaged in volunteer efforts, Mika was on the Planning Committee for the first Science, Technology, Engineering, and Math (STEM) Expo sponsored by the ASCE Wisconsin Section Southeast Branch Younger Member Group. The event brought kids in grades K-12 to the Milwaukee School of Engineering (MSOE) to engage in STEM activities. The STEM Expo was such a great success that the committee decided to host the event annually. Mika’s volunteer efforts do not stop there. In the past 4 years, he has volunteered with the National Alliance of Mental Illness Walk, Corporate Capers, Earth Day Clean-Up, Future City, and food donations to Hope House of Milwaukee. Jane M. Tran, P.E., ENV SP, M.ASCE, is an engineer in the Los Angeles, California, office of Hatch Mott MacDonald (HMM) and president of ASCE’s Los Angeles Section Younger Member Forum (YMF). Tran says one of the proudest moments in her career was working on the conceptual design of the California High-Speed Rail Project in Los Angeles in 2012. She was responsible for overseeing the production of more than 200 conceptual engineering drawings for railroad and roadway bridges throughout Southern California. Jennifer Sloan Ziegler, Ph.D., EI, A.M.ASCE, is currently a 2014 Sea Grant Knauss Fellow in the office of Senator Maria Cantwell [D-Washington]. Ziegler works to help reinforce Senator Cantwell’s position on natural resources, ocean, and marine issues, as well as issues relating to the U.S. Army Corps of Engineers. Since beginning her Fellowship in January 2013, Zeigler has learned how Capitol Hill works and believes it will help her career goal of translating science and engineering into policy. “That is why I do what I do, because I believe I can effect a change in the world,” stressed Ziegler, who as a student at Mississippi State University in 2010-2011 helped create the school’s first EWB-USA chapter. As a project manager for an EWB project in Simwatachela, Zambia, Ziegler and a small team of engineers were able to install drinking water wells to almost 10,000 villagers. Having potable water not only meant the villagers would now have a constant source of water to grow their crops, thus reducing deaths caused by starvation and malnutrition, but it also meant the Zambian Government would provide teachers to this extremely rural area – something the people have been denied until this point. Congratulations Jane! So proud of you! Congratulations to all of the 2015 New Faces in Civil Engineering. Your professional and personal accomplishments to date are inspiring. Best wishes for continuing success in your chosen fields of civil engineering practice. Congrats to the 2015 New Faces of Civil Engineering. Your dedication and enthusiasm are inspiring, well done! Welcome to Young dynamic Engineers into Profession.Great achievements . If you keep your focus and determination, our profession will be in good hands with you. Great achievements and keep pace to new challenges ahead.